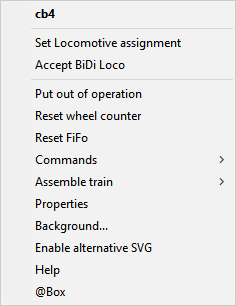 Starts the loco running to its Home location. Block commands for special occupancy detectors. A reset is send to the loco which did reserve/occupy this block.